I’ve always been a lover of cheese. 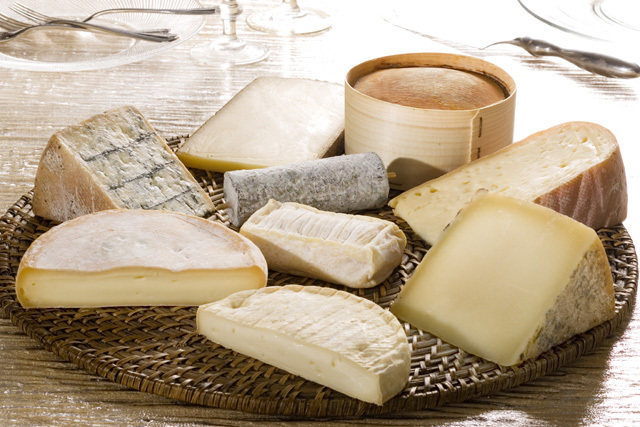 Any kind of cheese–hard cheese, soft cheese, and numerous in-between varieties. While I certainly have my favorites, I can’t remember a cheese I’ve ever tasted that I wouldn’t eat. And I’ve tasted a lot of cheese. But last evening, my wife, who was reading a new cookbook, asked what I knew about hoop cheese. It seems the book contained several recipes calling for hoop cheese. And although raised in the South, I had to admit that while I had heard of hoop cheese, I had no real knowledge of what it was or how it tastes. It was her question that prompted me to research cheese, specifically those related to the South. 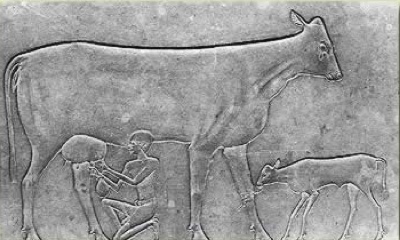 Although no one is for sure, cheese-making probably dates back some 10,000 years or more to the domestication of milk producing animals, such as goats, sheep, and aurochs, the predecessor of modern cows. Most likely cheese was discovered quite by accident when it was observed that as milk soured and separated, the resulting solids were not only edible but quite tasty and nourishing as well. There is a legend of an Arab nomad who spent several hours traveling in the hot dessert while carrying a milk filled water bag made from a sheep’s stomach. When he stopped to refresh his thirst, he found the milk had turned to curds and whey, which, out of desperation, and perhaps curiosity, he sampled. Thus cheese was born. By the time of the Roman Empire, cheese making techniques had become so advanced, and the use of various herbs, spices, and other flavorings so prevalent, that more than a dozen cheese varieties were available. Other Roman advances included dedicated cheese kitchens for making cheese, a cheese press to aid in draining the curds, and even special cheese rooms for aging. 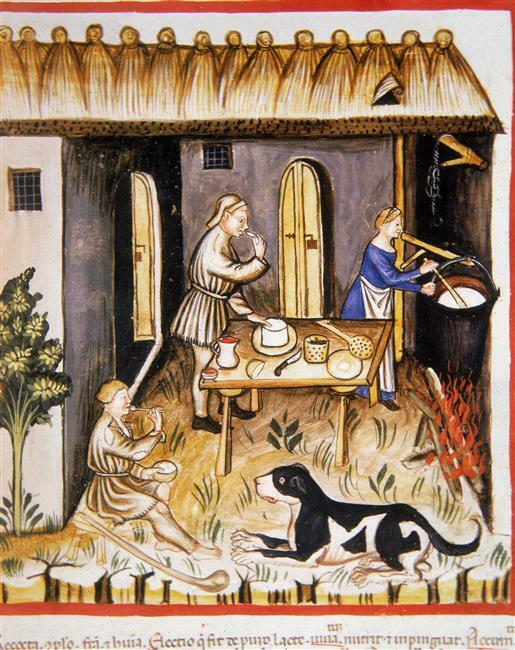 And by 300 AD, cheese-making had spread throughout Europe and the Middle East. Although Tibetans (including the Sanis), Bai, and Mongolians in and near the mountainous regions of China have produced cheese for thousands of years, it has never been a typical Asian food. Therefore Asia is not considered a significant part of cheese history. Fast forward to 17th century America where English Puritans migrating to the new world brought with them their knowledge of dairy farming and cheese-making. Centered primarily in New England and along the east coast, it was traditionally the job of the women milk the cows, haul the milk, churn the cream into butter, and process the cheese–just one of many jobs women performed on the early American farm. 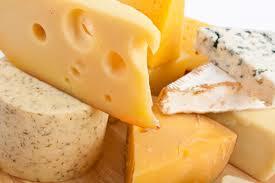 It wasn’t until 1831 when America’s first cheese factory opened in Koshkonong, Wisconsin. And while cheese making through the first half of the 19th century was an on-the-farm industry, it wasn’t long before small family-owned cheese factories began popping up all across southern Wisconsin and the American landscape, with the exception of the South. In fact, only two cheeses are traditionally associated with the South, and one of those is actually a spread rather than a true variety of cheese. For those who may not be familiar with pimento cheese, it is really a cheese “spread” rather than an actual type of cheese. And although considered by many to be a quintessential Southern food, pimento cheese is not a creation of the South at all. It was, in fact, born in New York! In the late 19th century, New York farmers were making an unripened cheese fashioned after a well-known French cheese produced in the Normandy village of Neufchâtel. Before long, this local cheese became so popular that several large New York cheese companies began manufacturing and marketing “American Neufchâtel.” Then around 1873, a Chester, New York dairyman named William Lawrence purchased a Neufchâtel factory and began making what he called “cream cheese,” a much richer variant made by adding cream to the manufacturing process. Demand for this new cream cheese quickly grew and by 1879 Lawrence had outgrown his original factory. In order to expand, Lawrence took on another Chester merchant, Samuel Durland. When they opened their new plant they turned to a New York cheese distributor named Alvah L. Reynolds to sell their product. 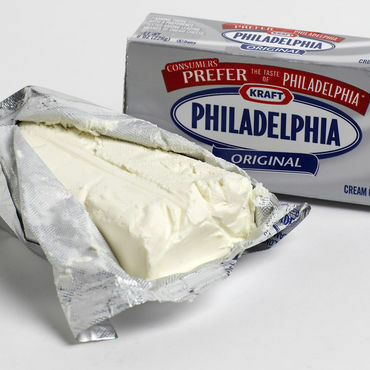 It was Reynolds who created the brand name Philadelphia Cream Cheese, chosen for that city’s affinity for the cheese. In 1903 Reynolds sold the rights to his Philadelphia brand to the Phenix Cheese Co., who in 1928 merged with Kraft. Around the same time cream cheese was becoming popular, another new product appeared on the America food scene–pimiento, a sweet red pepper imported from Spain. By the early 1900s, pimentos (the “i” was dropped from American print around the turn of the century) was being canned and sold by large manufacturers across the country. With two new products simultaneously at their disposal, home economists everywhere sought new and inventive ways to use them. Cream cheese was incorporated into all manner of salads, hor d’oeuvres, and hot foods. Pimento’s bright color and mild flavor made it the perfect garnish for vegetables and salads alike. 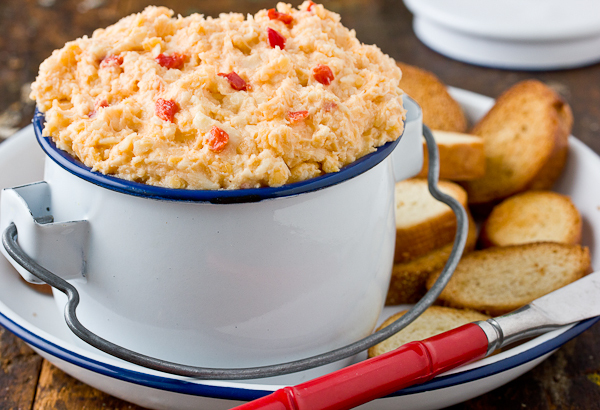 It wasn’t long before the two ingredients were brought together as one, and pimento cheese was born. Magazines and cookbooks of the early century abounded with recipes for homemade pimento cheese sandwiches of all kinds, and by 1910 commercially made pimento cheese came on the market. Within a year of its introduction, this store-bought pimento cheese was available from New York westward to Oregon, and southward to Georgia and Alabama. So, while the South may not have invented pimento cheese, it certainly seems to have become a major institution there. And for most Southerners, pimento cheese didn’t come from the store. It was made at home by hand-grating hoop cheese and mixing it with chopped pimentos and mayonnaise. To the basic recipe, one might add a touch of Worcestershire sauce, paprika, or other accoutrements. Today pimento cheese had become more than just shredded cheddar, mayo, and pimentos between slices of white bread or a spread for celery and cucumber crudités. The modern Southern chef has gussied up their recipes with the addition of pepper jack or smoked gouda and other exotic cheeses. And enhancements range from onion and garlic to mustards and hot chilies. They’ve also created new ways of using pimento cheese–as a stuffing for everything from tomatoes to olives and from deviled eggs to meats, as well as a topping for burgers, pizza, and gratins. Hoop cheese, also known as Bakers cheese, is the only true Southern cheese. And although it is sometimes wrongly considered by some to be farmer’s cheese, there is a difference. Farmer’s cheese is made from milk, cream, and salt. Hoop cheese, on the other hand, is made only from cow’s milk, from which the whey has been totally drained–no added cream or salt. Hoop cheese gets its name from the round mold (hoop) in which the pressed milk is placed for curing or aging. Farmer’s cheese, while certainly made in the South, cannot be classified as an iconic Southern cheese since it has a long history of being produced all across the U.S. as well as in many countries throughout the world. Farmer’s cheese is not only produced from cow’s milk, but also that of sheep and goats as well, with each lending its own flavor and texture. 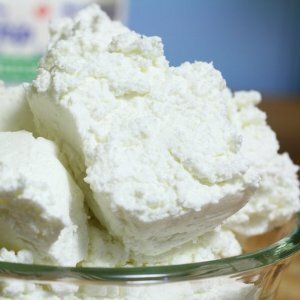 Farmer’s cheese is, in the very simplest of terms, pressed cottage cheese–dry and crumbly in texture and never aged. The texture of hoop cheese varies from soft to hard, depending on the length of time it is allowed to age. Soft hoop cheese, made by placing milk curd in a round mold and pressing out the whey, is off-white in color, and its mildness imparts a creamy texture to a dish without changing the flavor. Because fresh hoop cheese isn’t cured, it has an extremely short shelf life, usually seven days or less. Aged hoop cheese was once considered the cheddar cheese of the American South. It was usually pressed into wheels weighing around 20 pounds each. To facilitate aging, these wheels were coated with either red or black wax, depending on the length of time the cheese was to be aged. 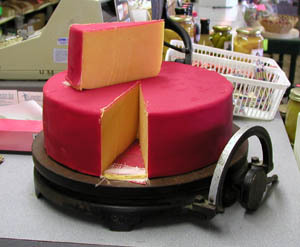 Red hoop cheese (sometimes called red ring or red rind cheese), is light to medium yellow in color, slightly rubbery in texture, with a flavor reminiscent of a mild cheddar. Black wax hoop cheese is the sharper of the two, with a rich yellow color and subtle nutty flavor. In the late 19th and early 20th centuries, hoop cheese was available in just about every grocery or general store in southeastern America. The large wheels were usually placed on a special cutter, designed and built by scale companies of the time, that allowed the merchant to cut the exact amount of cheese a customer wanted. 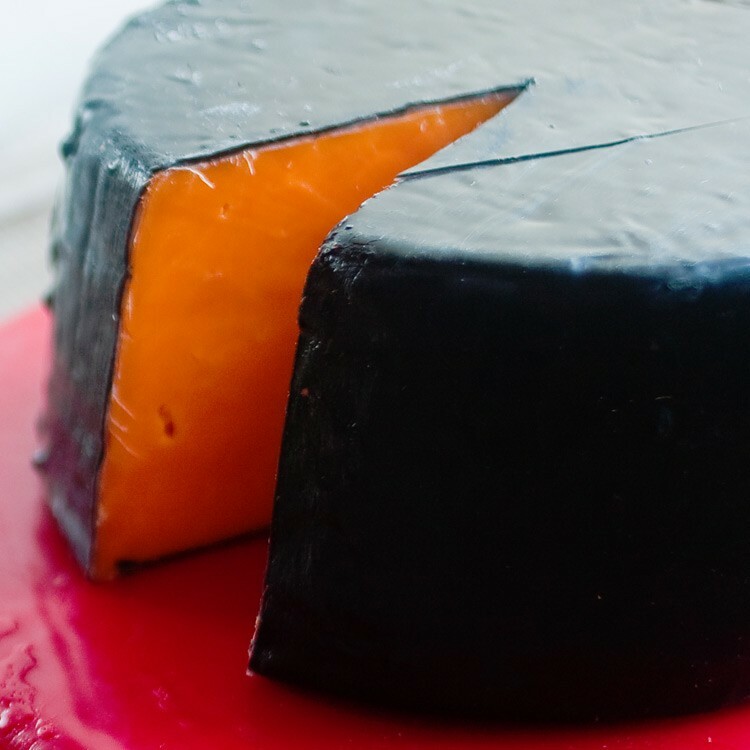 Due to its short aging time, once red or black waxed hoop cheese was cut, its shelf life was reduced to less than three weeks. For that reason it was usually made in the same town, sometimes the same store, in which it was sold. Today, only a few cheese makers continue to keep the tradition alive, making it almost impossible to find a wedge of the once popular cheese. Since the 1990s, artisan cheese-makers have been popping up all over the American South, a number of which are proving their cheeses can stand up against the best anywhere. In 2013, twenty-nine Southern cheese-makers entered the American Cheese Society’s annual competition, with fifteen of them winning awards. From the coastal plains to the Appalachians and as far west as Texas, the new Southern renaissance of cheese-making has come quite a ways from the pimento and hoop cheeses of the mid-20th century. So move over Wisconsin, Vermont, and California, there’s some new players on the block. In fact, over 150 new players according to the ACS. Those players represent the new cheeses of the South.